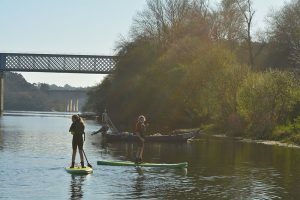 An incredible way to enjoy nature! 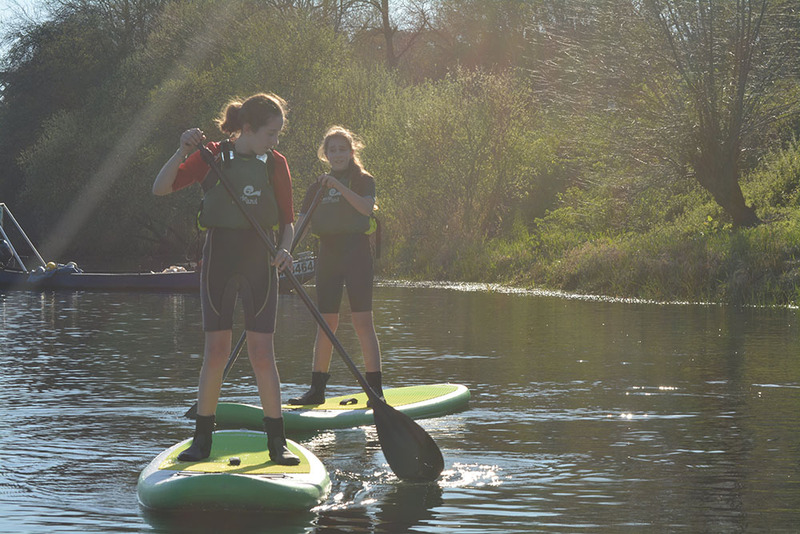 Have you tried the experience of paddling on a paddle board? It is a very complete and recommended activity that you should not miss. Paddle Surfing, Stand Up Paddle or SUP is a very fashionable modality in recent years. It allows you to enjoy a pleasant walk along the river without previous knowledge and being very accessible to all the public. 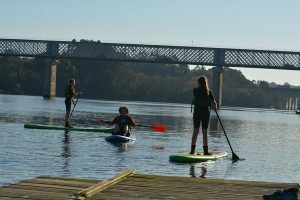 Verdeazul Aventuras puts at your disposal its fleet of Paddle Surf boards so that you can enjoy the Miño River in your own way. You will repeat after having tried it. We have everything ready for you to enjoy the River in a thousand and one ways. Join us! 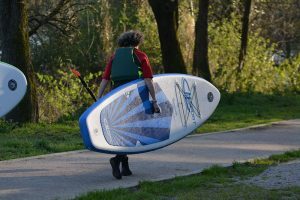 If you are one of those who want to do things at your own pace, we offer you the possibility of renting the board for hours, with all the necessary material (shovel, chaplet, neoprene) so that you can enjoy the Miño River in a totally different way to what is already known. You do not need previous knowledge in the handling of the paddle board, since this river is very calm. 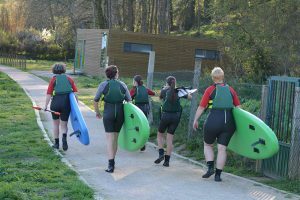 One of our monitors will explain everything you need to know so that from the first moment you are comfortable and you get the most out of this activity. 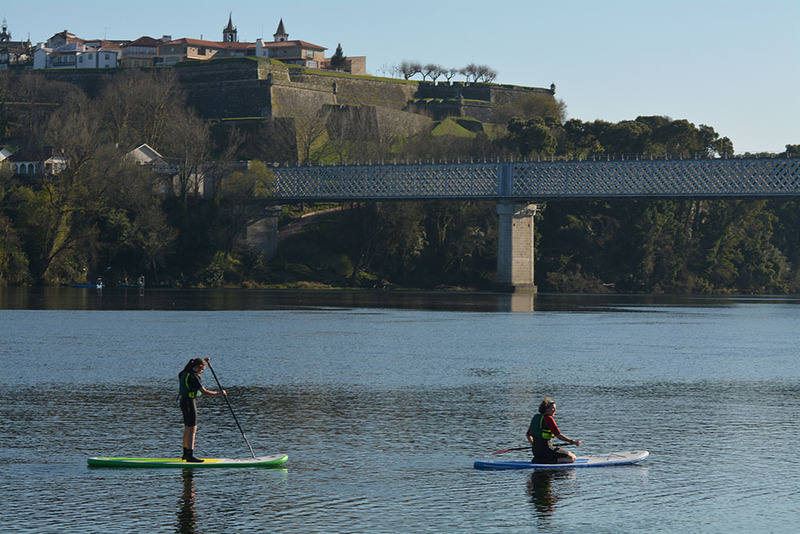 From our center of activities, you can enjoy a paddle ride, crossing the two banks of the River Miño (Portugal and Spain) and observing from another point of view, totally different, the historic iron bridge that connects the two countries and the two Fortress cities. Duration:from one hour. Here you are going to decide the time you want to be in the water. 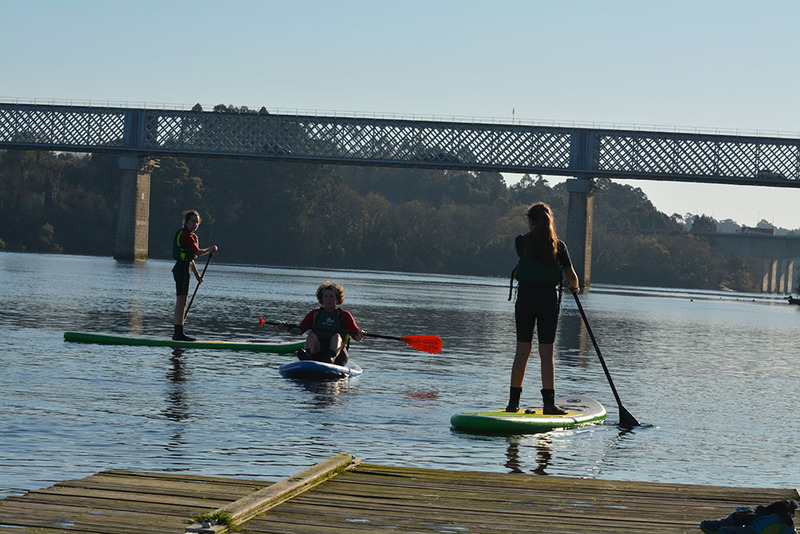 Level: low, ideal for families and all kinds of groups. 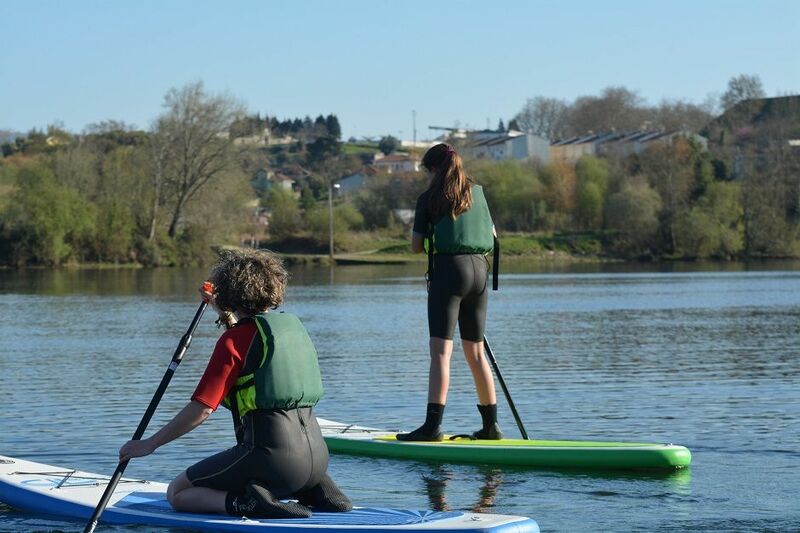 Do you have any questions about Paddle Surf on the Rio Miño?